The loneliness of a genius is fascinating to observe. On the one hand, the electric charge that comes from witnessing a truly significant mind making connections that few people can even grasp, can be almost magical. On the other hand, the abject solitude of working on a frequency that few can understand is tragic. From Sheldon Cooper on The Big Bang Theory, playing that duality for laughs, to Good Will Hunting quite seriously pairing that genius with deep emotional scars, popular storytelling has gone to this well of the brilliantly misunderstood many times. 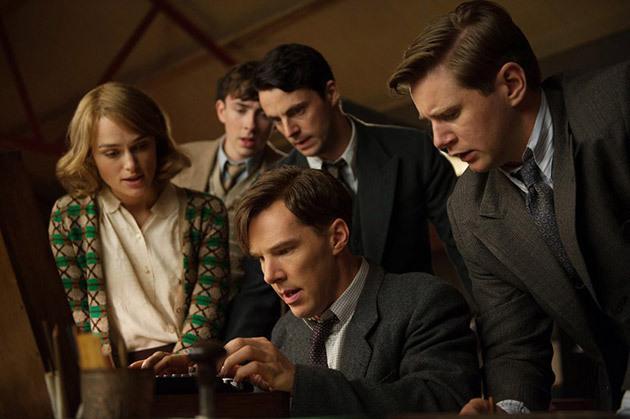 The new film The Imitation Game portrays a real-life example that falls squarely in this genre. Benedict Cumberbatch (in film is there any more fun or distinctly English name to say than his?) gives a terrific performance as Alan Turing. He was a math expert in the 30s and 40s whom the British government enlisted to crack coded German transmissions during World War II. The military was employing a handful of the smartest minds in the country to attempt to break the Enigma machine. Mathematically, it was a hefty challenge that took years. It was a top-secret mission, so none of them could tell anyone outside of their group anything about their job. Not friends or family, no one. Add to that the fact that Turing was able to solve math problems that only a handful of people in the world could even understand, and that he was gay in a time and in a world where homosexuality was actually illegal, you end up with an individual who is very much stuck in his own head. The issue with the code cracking was the amount of time needed to run through all of the unique possibilities of the Nazi code when they transmitted daily. The seed for their code would change every day, so the Brits only had 24 hours to determine what that day’s unique key was before it reset. There just weren’t enough man hours to do it. In a stroke of brilliance, Turing created a bulky, rudimentary, but still effective, computer. In the 1940s! Amazing. At first everyone else sees that as a colossal waste of time. His personality was brusque, rude, and probably stemmed from some borderline autism. Turing actually seemed more interested in the project as a math problem than a patriotic mission. Also, as the war raged on, real soldiers were dying out in the world. All of those factors pitted his own colleagues against him. His superiors wanted to shut him down. But with a determination that he is onto something that will literally change the world, he holds off criticism, espionage, and open threats. Keira Knightly appears as Joan Clarke. She is the one female that is on Turing’s team and turns out to be his truest ally. They develop a romance of the intellect. They are both brilliant people. And as much as they would like to be romantically involved, even to the point of putting on that face to the rest of the world, Turing’s sexual preference prevents that part of their coupling from happening. She truly appreciates him and his mind. But his ultimate distance from his closest companion further illustrates how truly alone this guy was. There will be some fairly obvious comparisons to A Beautiful Mind. Both star a charismatic actor playing a troubled, but brilliant, mathematician. However, just the facts of Alan Turing’s story are actually more historically significant than those of John Nash. These big issues in The Imitation Game had very real consequences. This code breaking was considered a large part of the Allies’ ability to win the war. Also, the most emotional weight comes from the very unique moral conundrum in which this group of researchers find themselves. Without ruining it, the very grey areas of right and wrong take a very human toll in this story. If there is any criticism of this movie at all it would be that it plays a little bit too much like a really well-made Masterpiece Theater episode. That’s not a condemnation of it, just a comment of the lackluster look of the film. The camera isn’t doing anything particularly interesting. The framing of shots is workmanlike. It is all very competently filmed, but there aren’t any images that particularly stand out. No disrespect is meant of Masterpiece Theater. It is a series that often features the very best acting, terrific writing, and very compelling storytelling. But also remember that it had its roots in, basically, filmed plays. This is actually the same criticism I had of The King’s Speech. Just like this film, it was a very well written, impeccably acted production that didn’t especially stand out visually. And if you think that all of these period hat dramas all look the same anyway, please refer to many of the works of Merchant/Ivory as examples of this genre that still can have a visual element without being showy. Still, if the choice is between a strongly scripted drama featuring memorable supporting work from Keira Knightly, Charles Dance, Allen Leech (Tom from Downton Abbey), Matthew Goode, Mark Strong (who seems to be in literally everything these days), and terrific lead performance from Cumberbatch, or a Michael Bay vehicle that features technically impressive cameras swirling around digitally manipulated explosions with no heart at its center, I will gladly take the former. 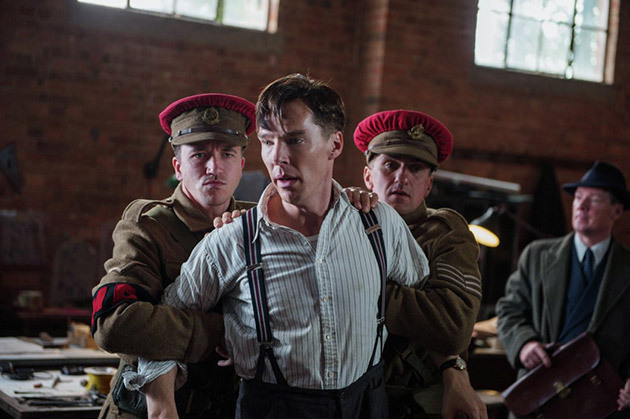 The Imitation Game will definitely be remembered come awards season, particularly for its acting. Society treated Turing quite badly. Luckily historians have finally been affording him his due.